Check out the 3D walk through of the unit! Spend your perfect beach vacation at this 2 bedroom, 2 bathroom, second floor unit. The entire unit is equipped with completely new furnishings and sleeps up to 8 people. Enjoy the luxury of brand new furniture in the unit including a new sofa bed for extra guests. The master bedroom has a King size bed, large closet for your convenience, new large flat screen TV, and a private bathroom with step-in shower. The second bedroom has two full size beds, mini fridge, microwave, and a flat screen TV. The second bathroom is a full bathroom with step-in shower. Relax and watch a movie on the new 50” flat screen TV in the living room on a brand-new couch that you will never want to leave. Enjoy a stocked kitchen to cook in or grill out at one of the many gas grills on the property. There is air conditioning in the living room to keep you cool during the hot hours of the day, ceiling fans, DVD player, free WIFI, and washer and dryer in the unit. 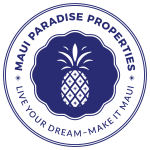 This is the perfect location for your beach vacation, just cross the street and you are at one of many beautiful beaches that line the coast in Kihei; Kamaole Beach 2. We provide beach towels, beach chairs and a cooler for your use during your stay. Need a break from the beach? Spend the day at one of 2 the beautifully kept pools/Jacuzzi areas. Finish out your day relaxing on your lanai or walking the beach during sunset. Please note, the resort charges a $20 fee at check-in. This fee is paid directly to the resort.